As anyone who is currently looking for a job will tell you, it is pretty tough out there. With more and more people applying for every position advertised and with fewer companies recruiting, actually securing an interview can be a feat in itself. So, if you have managed to get invited to interview, well done! You’re over the first hurdle. The employer has been impressed with you so far. Your CV or application form has served its’ purpose! Now, however it’s up to you to ensure that they stay impressed with you once they actually meet you. To help ensure that happens, we have put together some basic Top Tips on How to Impress at Interview. It’s not just a cliché. First impressions do actually count. 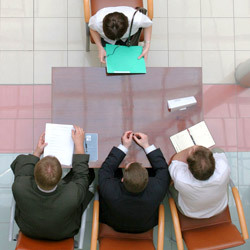 From the moment you walk through the door at an interview, the interviewers are forming an opinion about you. It is essential therefore that the opinion they form is a good one. Pay attention to basic things like your personal appearance. Ensure you are appropriately dressed for the interview. Some business sectors such as the creative industries may permit you to be a bit more flamboyant with your dress than other more corporate sectors such as banking where being “suited and booted” is essential. Remember though if you are unsure, it is always best to err on the side of caution and stick to more formal attire. The entire premise behind any interview is of course for the interviewer to get to know the candidate and potential employee that bit better. 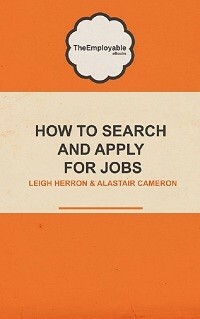 There is only so much that can be gleaned from a CV after all. It is critical therefore that you portray the real you to an interviewer. There is no point in adopting a false persona in the interview and then not be able to live up to it on a permanent basis should you actually get the job. You won’t last too long if that is the case! Make sure that the interviewer sees you for who you are. Your real personality should be allowed to come through. After all, the interviewer wants to make a judgement call not only on your suitability for the role itself, but also on your suitability for the overall culture of the organisation. If you convey a false impression, it will be found out immediately should you be lucky enough to get the job and that certainly won’t do you any favours. Remember though, that being yourself in an interview means being your working professional self, not the “you” that your friends see on a Saturday night! Preparation is absolutely critical if you are going to stand any chance of impressing an employer. That means spending some time learning about and researching their company. It also means spending time planning answers to some of the most typical questions you could be asked. There is really no such thing as being over prepared for an interview. Proper preparation will not only help you perform better but it will also help to boost your confidence before the interview even begins. Think back to when you were doing an exam at school or university and remember how you felt when you went into an exam you had actually studied properly for compared to one that you didn’t. Now which felt better! Before your interview, spend some time analyzing yourself. Work out your strengths, your weaknesses, your achievements and your motivations. After all, the interviewer will be using all sorts of questioning techniques to get the answers to these very questions, therefore it is essential that you figure out your prospective answers before the day itself. Also, it is essential that you familiarize yourself with your CV or application form again. If you have applied for a lot of jobs, it can be easy to forget which CV you sent to which employer etc; therefore always try and keep a copy or use a tool like Huntsy to keep you right. If you have been put forward for an interview by a recruitment agency, ask to get a copy of the CV that they sent to the employer. Most agencies will change or reformat your CV and it could appear to be entirely different to your original version. Get a copy in advance so you have no surprises on the day when confronted by something from it! There can be so much to do when preparing for an interview that some of the basic details on the day are taken for granted. However, make a mistake with some of the basics and you can end up ruining your overall chances. Make sure you are punctual. Arrive on time by planning your journey to the interview well in advance. Don’t leave anything to chance. Pay attention to your body language. Your handshake, your eye contact and your sitting position all play a part in the impression that the interviewer forms about you. Make sure that you do everything you can to make that impression a positive one. We hope you find these basic tips useful on how to impress at interview. We’d love of course to hear your thoughts on other ways to impress at interview. Feel free to let us know via the comments section below. No Interview Preparation? Here's what you should do. © 2019 TheEmployable. All Rights Reserved.